Recognize talent with the Custom Etched Crystal 13'' Semi-Truck Award, imprinted with your personalized logo in one location. 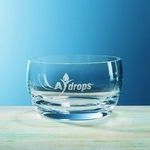 Give recognition to those that deserve it most with the Custom Etched Crystal 9'' Grammercy Bowl, imprinted with your personalized logo in one location. Give recognition to those that deserve it most with the Custom Etched Crystal 9'' Semi-Truck Award, imprinted with your personalized logo in one location. Recognize talent with the Custom Etched Crystal Rectangle Reflection Bowl, imprinted with your personalized logo in one location. Award excellent performance with the Custom Etched European Art Crystal Apollo Vase Award, imprinted with your personalized logo in one location. Recognize talent with the Custom Etched Hand-Blown Small Red Molten Award, imprinted with your personalized logo in one location. Award excellent performance with the Custom Etched Large Crystal Brookhaven Bowl, imprinted with your personalized logo in one location. Give recognition to those that deserve it most with the Custom Etched Large Crystal FanFare Award, imprinted with your personalized logo in one location. Recognize talent with the Custom Etched Large Monte Carlo Crystal Vase, imprinted with your personalized logo in one location. Award excellent performance with the Custom Etched Large Twist Gold/Blue Crystal Award, imprinted with your personalized logo in one location. Recognize talent with the Custom Etched Medium Crystal Brookhaven Bowl, imprinted with your personalized logo in one location. Award excellent performance with the Custom Etched Medium Crystal FanFare Award, imprinted with your personalized logo in one location.